Duke Energy is bracing for a rare coastal ice storm that is forecast to hit eastern North Carolina and South Carolina later today. Duke Energy's team of meteorologists continues to monitor the system. 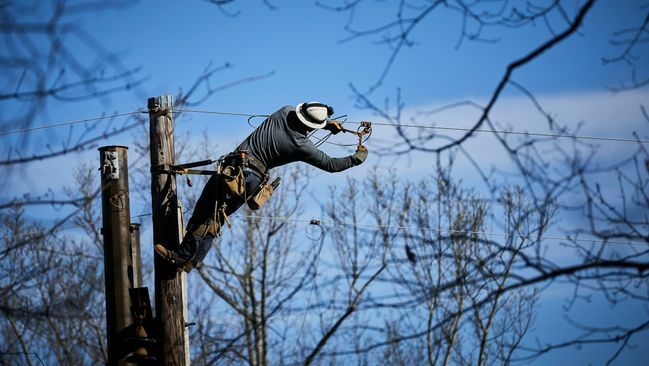 Line technicians, service crews and other personnel are available throughout the company's service areas and are ready to respond to outages and emergencies, if they occur. "Storms are unpredictable. Until we are confident in the storm's path and its impact to our customers, we will keep an appropriate number of resources in our communities throughout the Carolinas to assist with restoration efforts prior to moving them to other areas," said Jeff Corbett, senior vice president of Duke Energy's Carolinas Delivery Operations. Check your supply of flashlights, batteries, bottled water, non-perishable foods, medicines, etc. Do not attempt to heat your home with a gas grill or by bringing a generator inside. Only operate such equipment outdoors in well-ventilated areas. Follow manufacturer instructions. Check on family members, friends and neighbors who have special medical needs or who are elderly to ensure they have necessary emergency supplies. Encourage them to determine now what action they would take in the event of an extended power outage. Stay away from power lines that have fallen or are sagging. Consider all lines energized as well as trees or limbs in contact with lines. Please report downed power lines to Duke Energy and your local police department. If a power line falls across a car that you're in, stay in the car. If you MUST get out of the car due to a fire or other immediate life-threatening situation, do your best to jump clear of the car and land on both feet. Be sure that no part of your body is touching the car when your feet touch the ground. Restoring power after an ice storm can be challenging as travel conditions are poor. Before power can be restored, crews first assess damage and determine what crews, equipment and supplies will be needed to make repairs. Because of this, customers may see damage assessors patrolling their neighborhoods before crews arrive to begin work. "Our crews will work as quickly and safely as possible to complete restorations," said Corbett. "Depending on the number of outages and the amount of damage sustained, we know from past storms some customers may experience multi-day outages." "I cannot stress enough the importance of being prepared and having a plan in place now in the event your power goes off," he added. "We appreciate our customers and their advanced preparedness and patience as we brace for this unprecedented event."
If you lose power, please turn off as many appliances and electronics as possible. This will help with restoration efforts as it will reduce the immediate demand on the power lines when power is restored. Once your power is restored, wait a few minutes before turning your equipment back on.